1. Add clarified butter to a heavy frying pan over medium-high heat. Add the sausage and break it up with a wooden spoon until it’s browned, about 8 to 10 minutes. If the sausage doesn’t break up well, use a zigzag potato masher to break it into smaller pieces in the pan. 2. Reduce to medium-low heat then sprinkle in flour a little at a time, then add salt, pepper, and optional red pepper flakes to the pan. Stir continuously for another 5 minutes. 3. Scrape up any browned bits from the sausage, then deglaze by slowly stirring in the beef broth, then add 2 cups of milk (adjust up or down depending on how thick you want the gravy). Stir continuously for several minutes and bring it to a strong simmer until thickened, then reduce heat and season with additional salt and pepper to taste. 4. 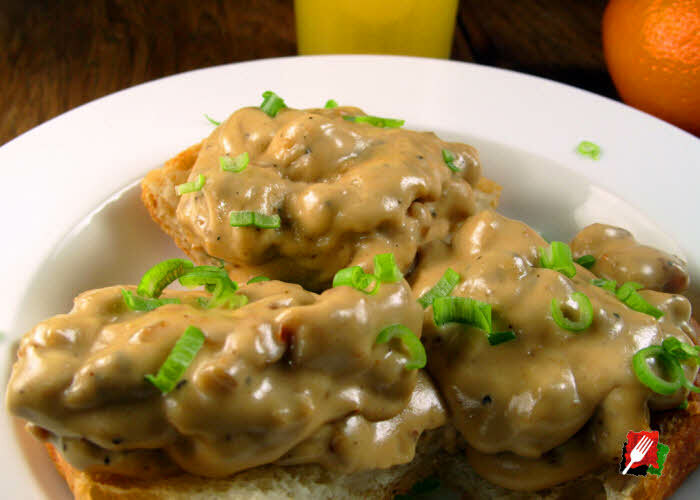 Cut hot, store-bought biscuits or homemade focaccia bread in half and serve sausage gravy over the top. Garnish with chives or scallions, and serve immediately. 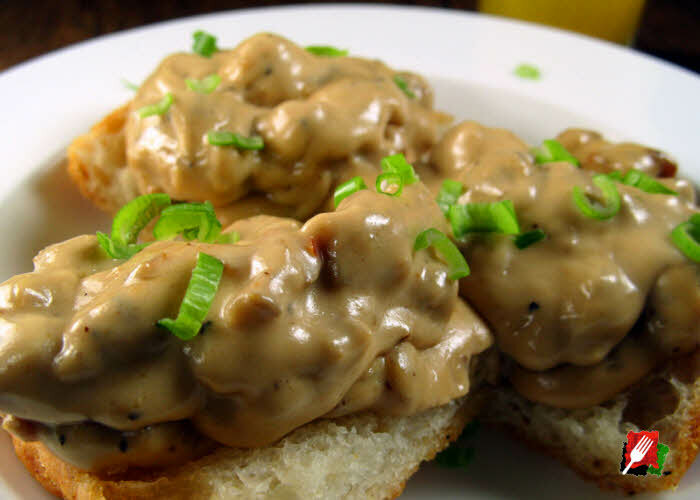 Tip: Depending on the sausage and the amount of browned bits remaining, the gravy may still be too pale for your preference. 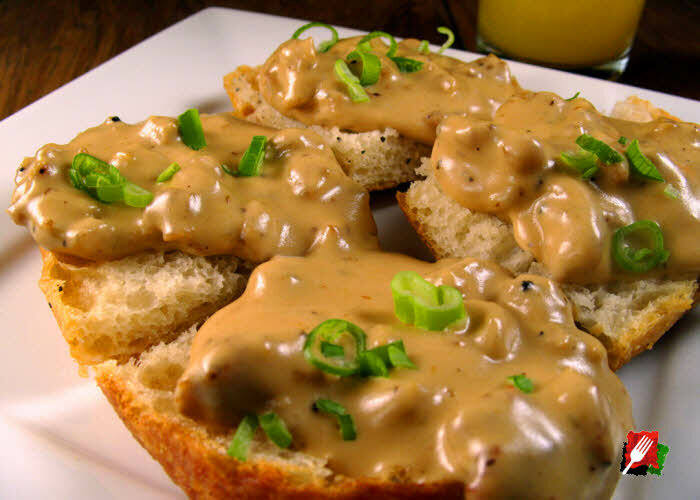 To make your gravy darker and richer tasting, add more beef broth, or add a few dashes of Worcestershire sauce to the pan as you add the milk, or add 1/2 teaspoon of Gravy Master browning seasoning to the pan for added browning and richness to your gravy.